No. We’re Edinburgh-based and this is our third year at the Fringe. We started off with three one-man plays in 2014, took a year off in 2015, came back with J B Priestley’s The Rose and Crown in 2016. This year we have two very different productions – a one-act intense drama, Casanova Dreaming and a full-length farce, Volpone. 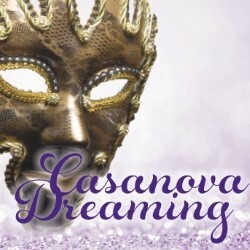 Casanova, which explores the life of the famous libertine and the women and men who knew him, is getting its premiere at the Fringe. Volpone was at the Fringe for a week last year. The run was so successful we decided to bring it back for the full three weeks in 2018. Winning the 2018 Pitlochry Festival Theatre Short Play Award. That and finding two great casts for this year’s Fringe. I’m the jack-of-all-trades producing, directing and writing both shows (with a little help from Ben Jonson for the original version of Volpone). We came together in the usual way – some of us have worked together both as part of Arbery Productions and in other Edinburgh based groups such as EGTG and Edinburgh People’s Theatre. Then we auditioned and found some fantastic actors, including the lead actors in Casanova Dreaming (Patrick Bergamo and Creighton King), both of whom moved to Edinburgh for rehearsals and the run. Difficult to say because I haven’t seen anything, but based on previous Fringes, I’d recommend EGTG’s Skirt and Much Ado About Nothing, and Arkle’s You Remind Me of You – but they’re on at the same time as Volpone so go see them another night… I don’t know any of the groups on in the afternoon, but I’ll be checking out The Devil You Know from Nottingham New Theatre, Hamlet – Horatio’s Tale from Guy Masterson and (late night) The Maids from Sudden Impulse Theatre. « +3 Interview: How to Be Amazingly Happy!